It’s only round 4 of the new season but we’ve already arrived at the marquee tie of the season – the Battle of Manchester. There are so many angles and tangles associated with this match that it would take many more words than we’re paid for to properly analyse each and every thread of this fascinating tapestry. In very simple terms, it’s Jose v Pep. In essence, it’s two of the finest managers about going to war with two of the most expensive squads in the history of the Universe, assuming this is the only planet/dimension to play football. The two men have faced off 16 times with Pep winning seven times to Jose’s three with the pair drawing the remaining six fixtures. Advantage Pep? Many people would have thought so until news came through of Sergio Aguero’s three match ban for ‘doing a Fellaini’ on West Ham’s Winston Reid in round 3. Guardiola has form in using attacking midfielders as a ‘false 9’ in lieu of more conventional strikers when the situation demands it and the confidence with which Raheem Sterling has stared the season might see him given the role. Alternatively, Kelechi Iheanacho could be given the nod if a more conventional striker is required. The young Nigerian was very impressive last season and has shown that he has the temperament for big games. With Pep, there are always surprises but what we can say with some confidence is that with the Argentine marksman gone, the balance swings back, if not quite in Utd’s favour, then somewhere closer to parity. Advantage Jose? For many a Utd fan at the tail end of last season, the appointment of Jose Mourinho as manager must have been the cause of some dark nights of the soul. Few managers (or humans outside of the political sphere) have managed to invoke such ire and revulsion/one-eyed obedience and worship and yet, beneath it all and for all the low rent antics, Mourinho is an exceptionally successful manager. Many of the Utd hierarchy may have been holding their nose during his appointment and chances are it will end badly but right now, Mourinho is the right man to make Utd a feared force once again. Like City, they have three wins from three and are playing with a purpose and confidence that has arguably been missing for some seasons. Two excellent teams with brilliant managers to boot implies that whatever the result, it will be advantage to the neutral. In terms of the market, the bookies have Utd as slight favourites to win. The absence of Aguero surely adds to this price but, given that City are likely to defend with quite a high line, the chances of of Utd breaking through Rooney or Ibrahimovic are relatively slim. Martial, should he play, will need to show some form as he has the pace to trouble this new City defense. This preview has done little to ponder the many intriguing match-ups that will be on show but it will be a fascinating match to watch unfold. Mourinho will want to make sure that even if they can’t win that they won’t lose and he is a master at that. Pep knows only one way and that is to go for the win. It might likely end a draw but the price of 5/2 for a City win from WilliamHill is tempting enough to go for the away win. After their traditionally awful start to a season, Arsenal picked themselves and dusted themselves down after their farcical home defeat to Liverpool on the opening day. A 0 – 0 draw away to reigning champions Leicester followed by an away win over Watford may have helped to steady the ship somewhat. Arsenal fans will hope so as it won’t take many more poor results for them to erupt en masse in open revolt against manager and board. The Saints have yet to win this season with two draws and a loss the sum of their efforts thus far. The usual summertime activity saw them lose not only some of their better players but also their rather fine manager, Ronald Koeman, to Everton and all their new money. They have endured similar circumstances for a few seasons now and have always managed to right themselves and prosper. The fear amongst fans is whether they can reasonably expect to do the same this year. One of the plus points for the Gunners at this early point in the season is the form of the generally derided Theo Walcott. Having entertained notions of centre forward stardom for a couple of seasons, Walcott has seemingly bowed to the inevitable and accepted that his is the life of a winger, speeding up and down the lines and adding to the attacking threat rather than finishing it. You would have thought that his manager might have made that clear to him some time back but plus ça change, plus c’est la même chose. To be brutally honest, this column has seen next to no Southampton this new season but being shorn of Wanyama at the base of midfield and Pelle up top is a sizeable blow to their ambitions. They have also adopted a new diamond formation so the it may take a while for them to settle. In their favour, Dusan Tadic played as a nominal 10 for his national side Serbia earlier in the week and excelled in the role. If he can continue in that form for his club side, they should be able to pose a threat to most teams. 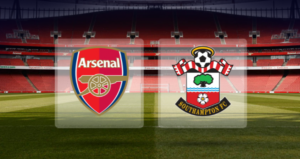 Readers might recall how Southampton went on an awful run at the tale end of 2015 with one sole exception: a 4 – 0 trouncing of an Arsenal side who were on something of a positive run. In all likelihood, it’s probably a bit much to expect the Saints to do something similar at this early stage of the season. Arsenal, for all their faults, have the players and new signings to see the job through this weekend. BetBright have the best price for a home win at 8/13. 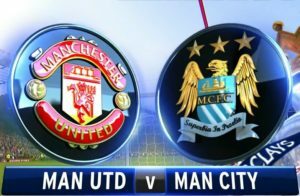 Here’s a match that could rival the Manchester derby in terms of excitement. Both these teams know how to entertain and in the case of Liverpool, have already served up one of the more pulsating matches this season. Again, with reference to Liverpool, you never quite know what you’re going to get; is it the buccaneering swashbucklers that saw to Arsenal or the ponderous plods that had about 80% possession against newly-promoted Burnley and lost 2-0? Therein lies the thrill and confusion. Somewhat inexplicably, Leicester lost their opening day encounter to a Hull side with barely enough fit players to line out. Jamie Vardy looked a useless shadow of his former self and on the whole, they looked quite poor. Following that, they secured a creditable draw against Arsenal and then picked up their first win of the season against Swansea so it looks like things might be picking up for them. Add in a host of expensive purchases who arrived with goal-scoring pedigree and they look set to make a good fist of the season. 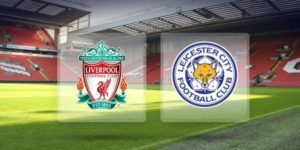 Like Leicester, Liverpool are also on four points but unlike the Foxes, they have yet to play at home. Construction at Anfield has added an additional 8,000 to capacity there but those expecting that such an enlargement will boost the fortress atmosphere might be disappointed to learn that a good portion of the extension has been given over to corporate suites. You know, the cloistered clique. Be that as it may, Klopp will demand that his charges get their act together and go for the jugular. If last season is to be any guide, that’s pretty much what Leicester will want them to do anyway. On the whole, this column is inclined to favour a Liverpool win but the prices for a draw or a Leicester win are too good to pass without mention. If you think the two teams might play each other to a stalemate (albeit likely one with goals), you can get 41/13 from 888Sport and if you think the reigning champs can pull off an away victory, BoyleSports have a wonderful 5/1 on offer. Come to think of it, if you bear in mind that so far this season, Simon Mignolet has let in more goals than he’s saved, you’d have to think Leicester look good for a win. However, should Liverpool replicate their opening day form, then the price of 7/10 from BetFred amongst others for a home win looks about right.